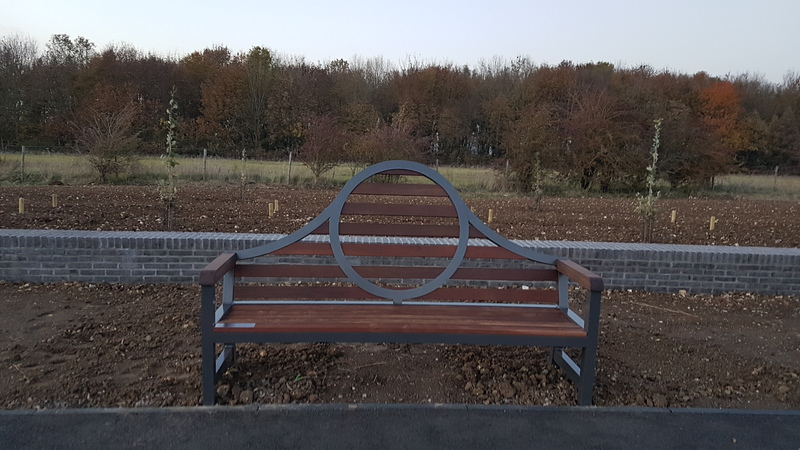 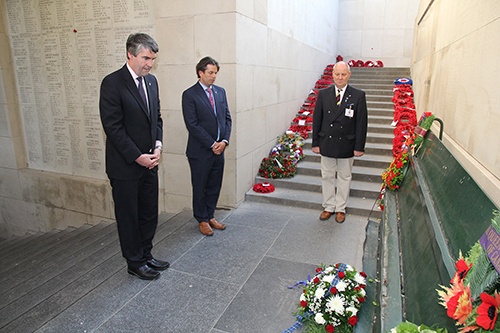 The Government of Nova Scotia donates memorial bench for Vimy Foundation Centennial Park, Vimy, France. 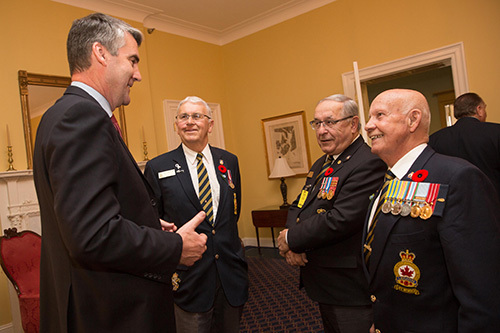 Premier Stephen McNeil recognizes the 90th Anniversary of the Royal Canadian Legion, November 2, 2016. 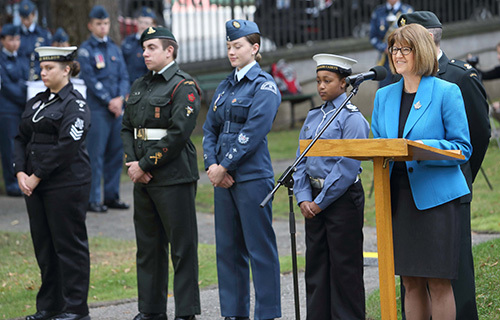 Deputy Premier Diana Whalen participates in a ceremony on the grounds of Province House to mark Cadet Day. 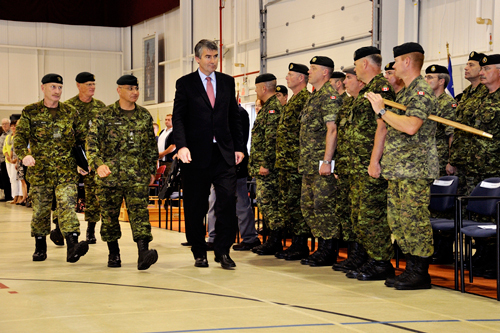 Commemorating the 100th Anniversary of the formation of the No.2 Construction Battalion, July 9, in Pictou. 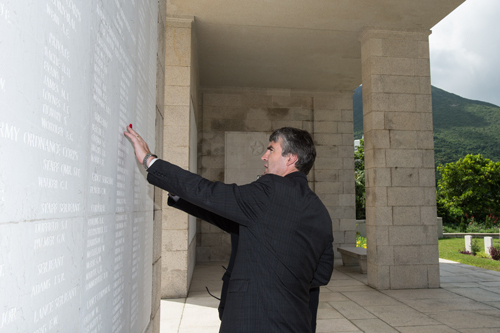 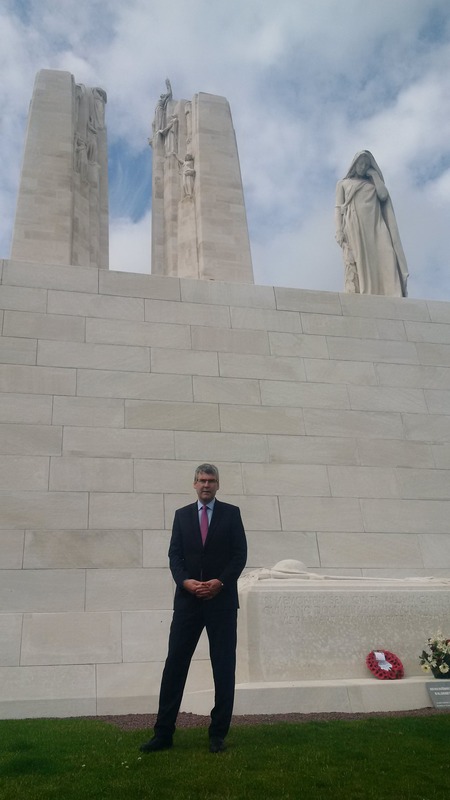 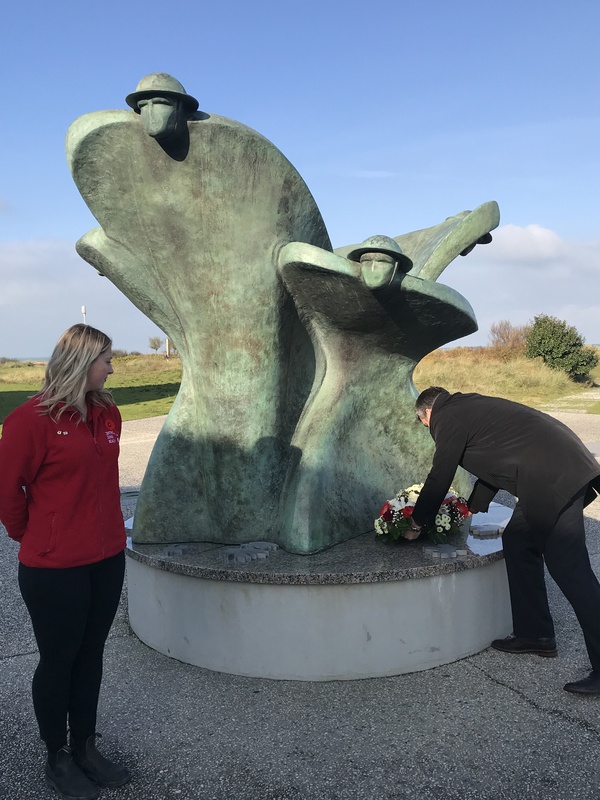 Premier Stephen McNeil visits Vimy Ridge in France to pay his respects and to honour those brave Canadians who fought in the defence of freedom on June 29, 2016. 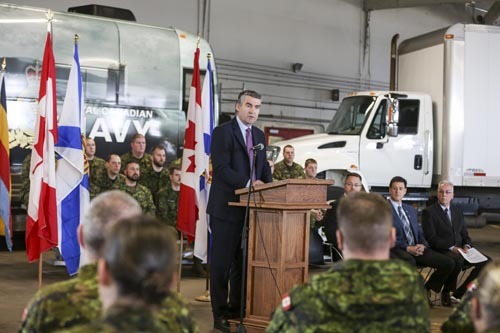 Registry of Motor Vehicle changes help military drivers transition to private sector. 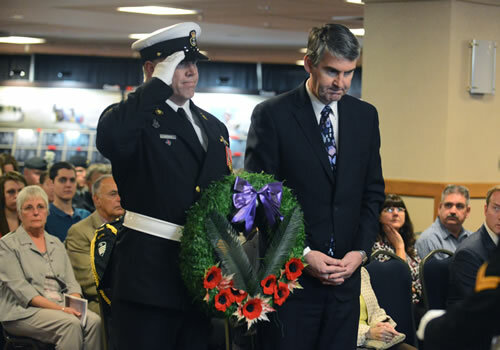 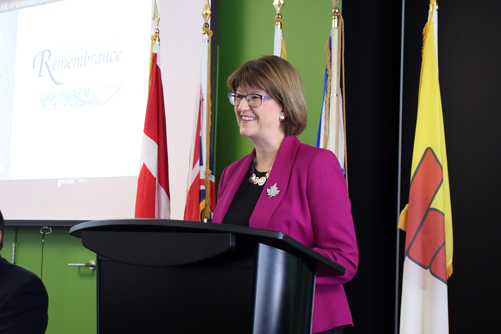 Deputy Premier Diana Whalen represents Premier Stephen McNeil at The Third Book of Remembrance Dedication Ceremony, Halifax Central Library, October 23, 2015. 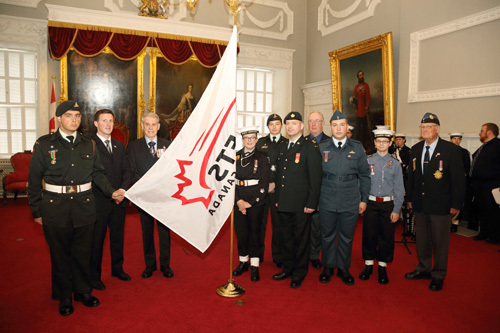 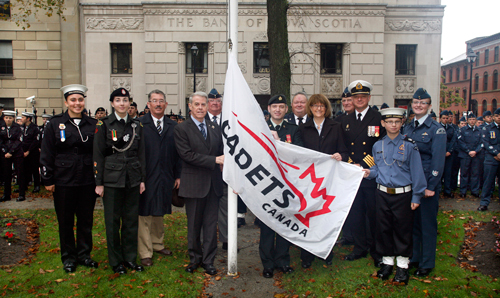 His Honour Brigadier-General The Honourable J.J. Grant, Lieutenant Governor of Nova Scotia, helped celebrate Cadet Day at the Nova Scotia House of Assembly on October 3, 2015. 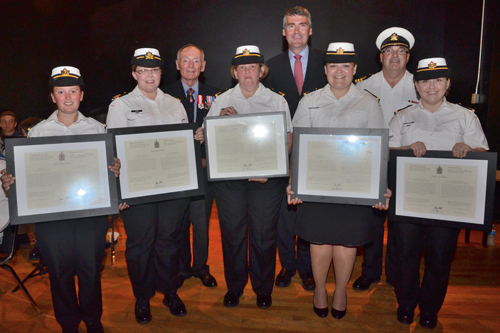 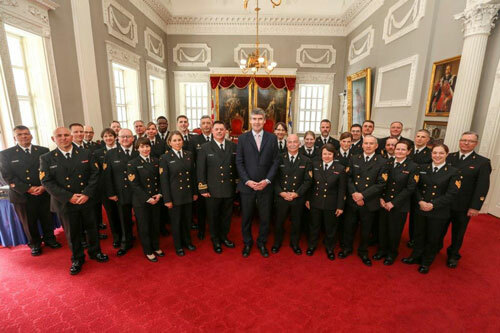 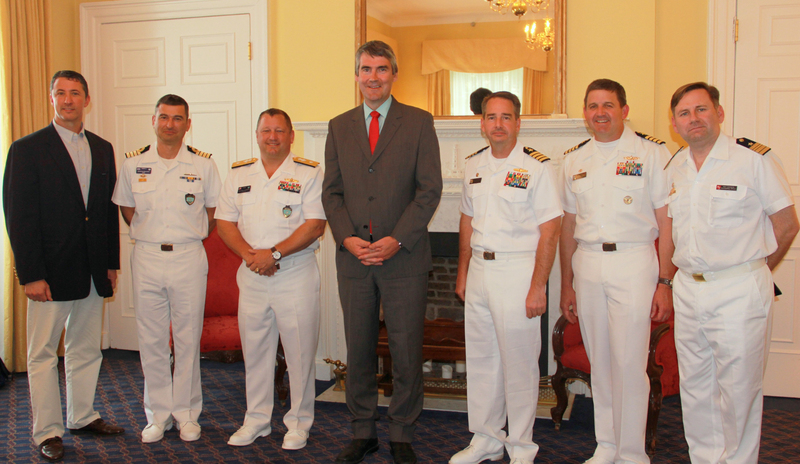 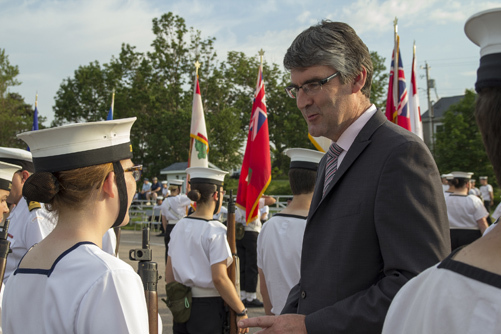 Premier Stephen McNeil chats with cadets a the General Cadets Graduation at HMCS Acadia on July 30, 2015. 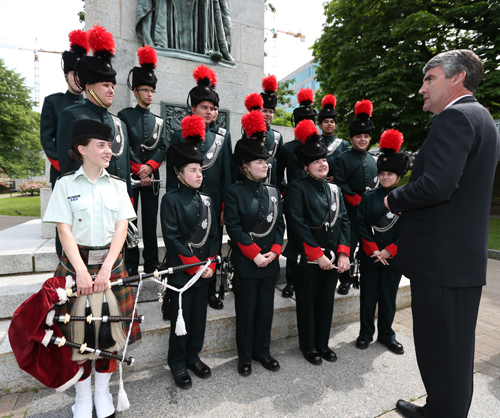 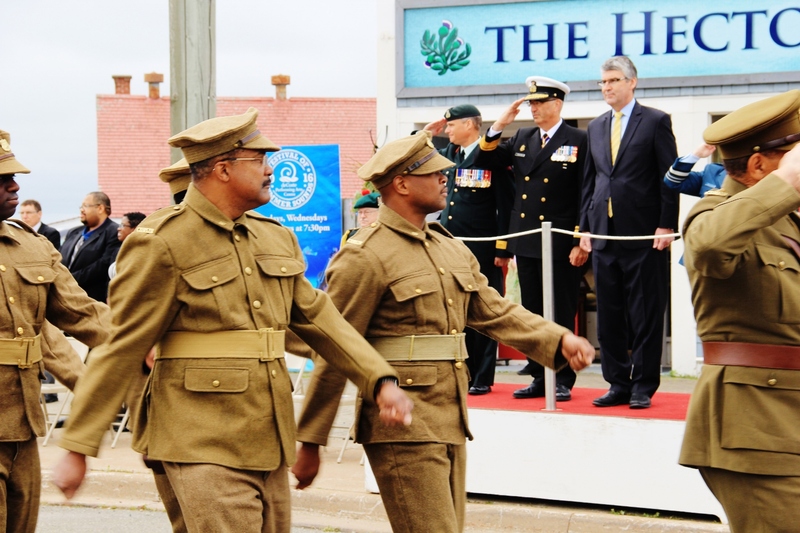 Premier Stephen McNeil with the Ceremonial Guard of the Canadian Cadets recreating the Menin Gate memorial service at the Grand Parade in Halifax - July 9, 2015.